This listing is for 2 pcs. 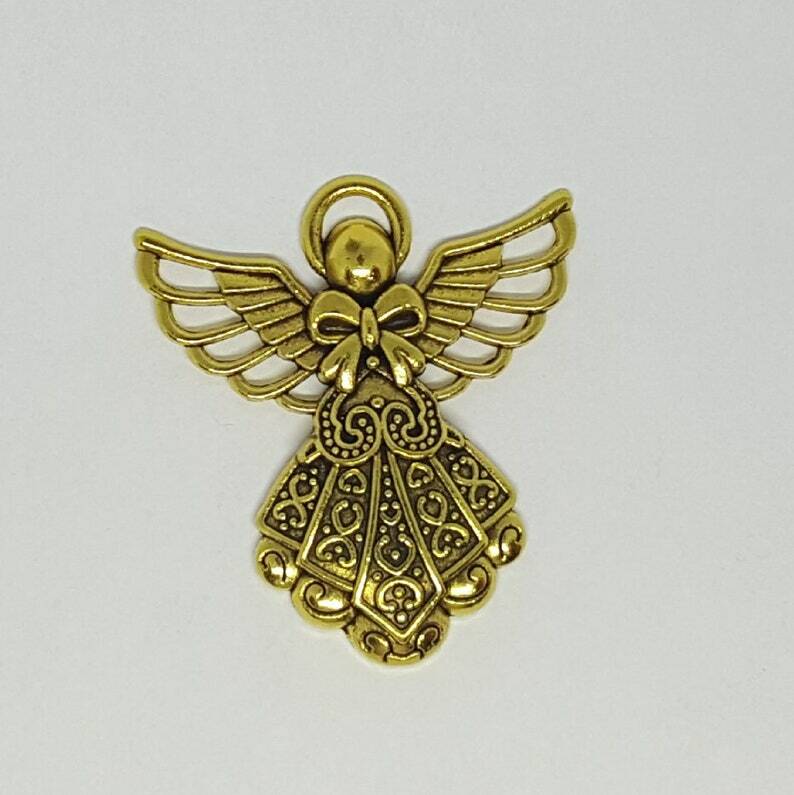 Gold angel charm/pendant. This gold angel pendant makes a great necklace to give a loved one as a gift! They also make adorable key chains, also beautiful bookmarks too!